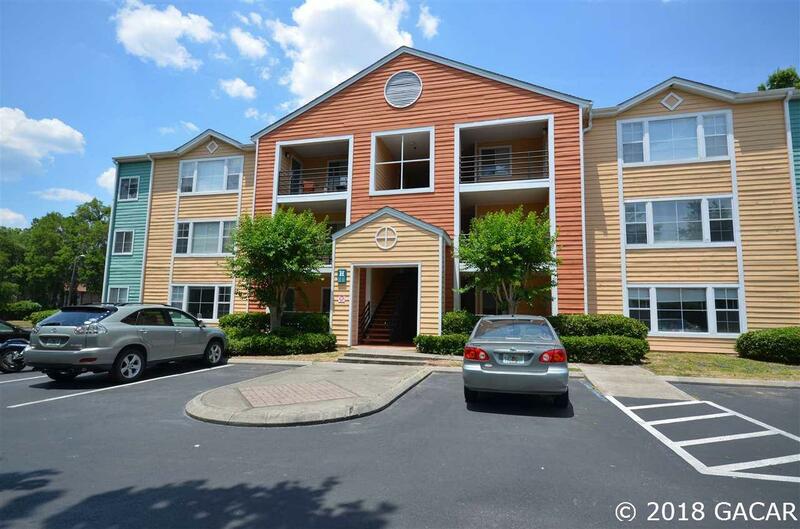 TOP FLOOR condo very close to University of Florida, Shands, and Butler Plaza shopping. Each spacious bedroom has a built in desk and nice sized closet. Bathrooms have upgraded dual vanity sinks and newer shower surrounds. Fresh new coat of paint throughout unit! 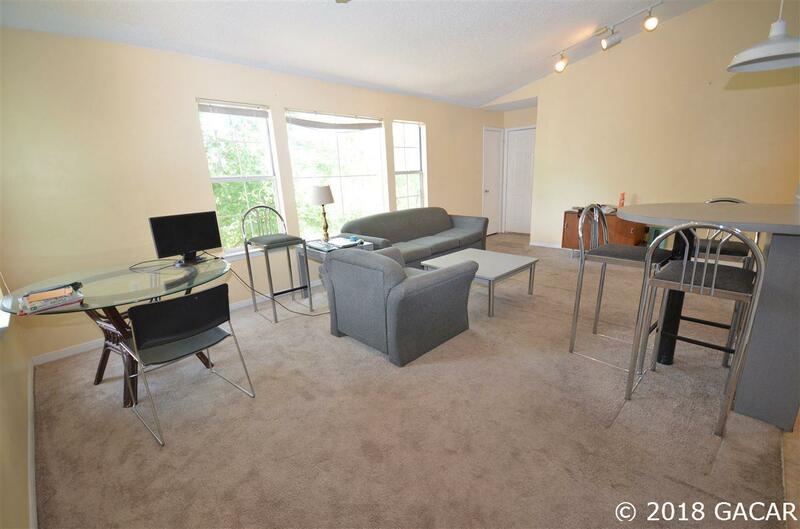 Condo comes furnished with living room furniture (couch, arm chair, end & coffee tables, TV stand) and bedroom furniture. 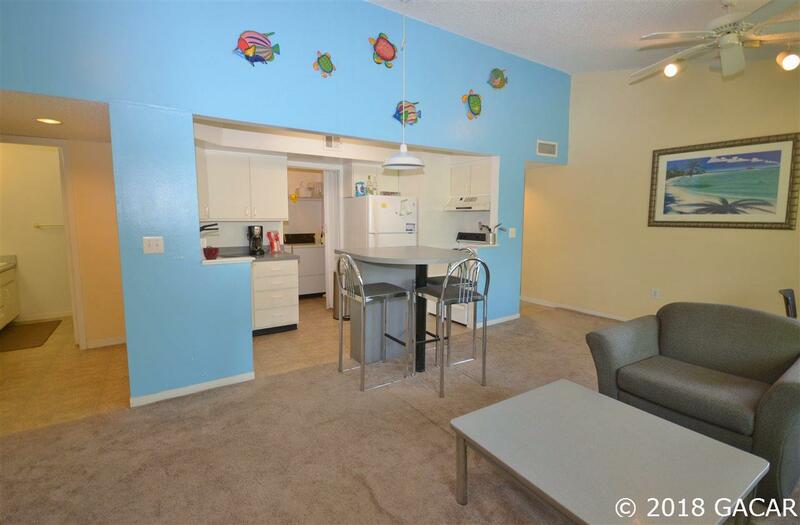 Top floor unit with vaulted living room ceilings and no one living above you. The clubhouse features a beautiful pool, exercise room, basketball court, sand volleyball court, and hot tub. 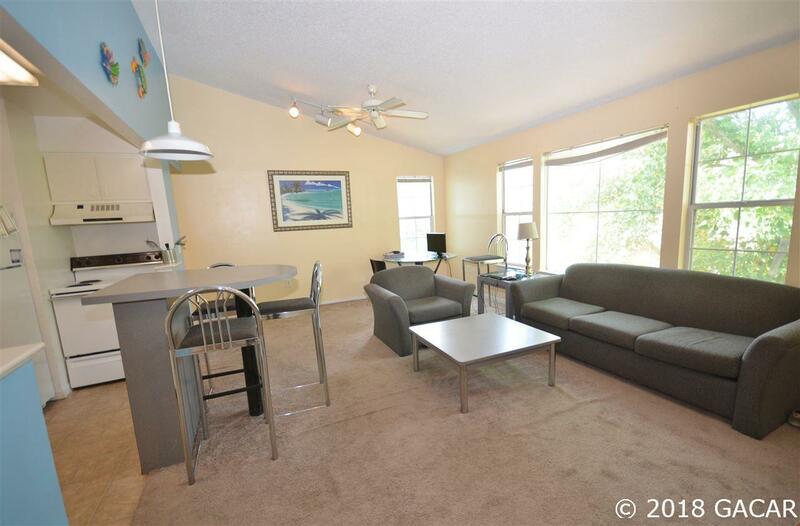 The condo is also on direct bus routes to UF, Shands, and shopping areas!